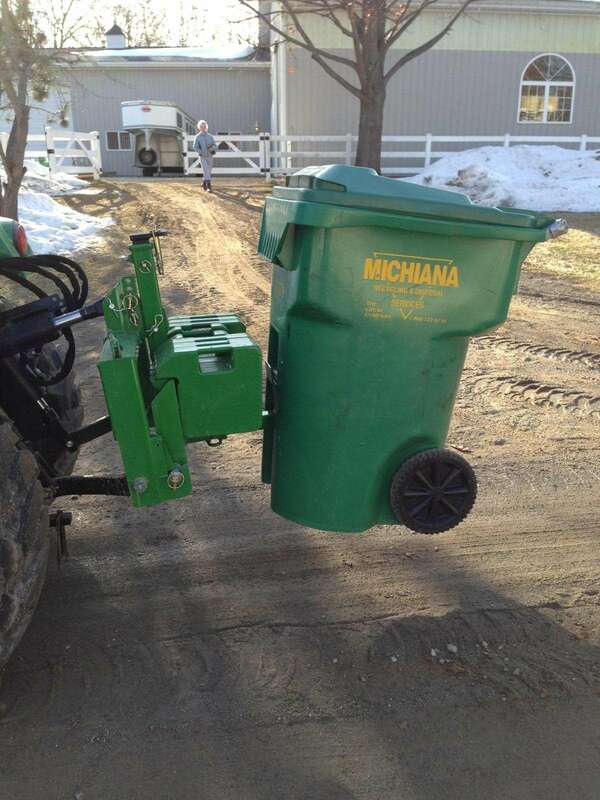 The Heavy Hitch Hitch’N Can garbage hauler makes getting the trash and recycling to the curb easy – and fun! It’s the perfect solution for anyone with a long or steep driveway. 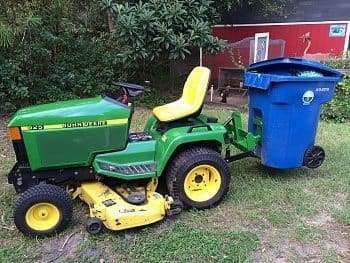 Want to be able to use two Hitch’N Cans at the same time? 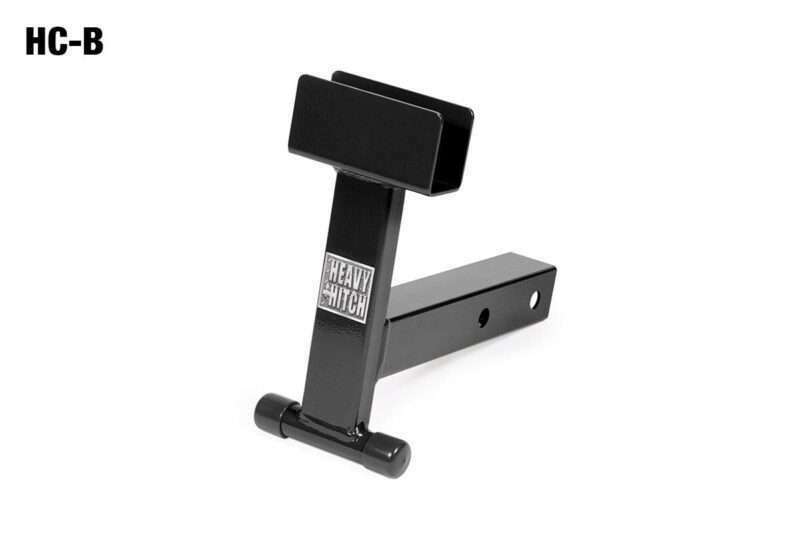 Try our Hitch’N Can Dual Adapter. Choose your color preference (John Deere Green, Black or Kubota Orange) when ordering. Can be used with the Heavy Hitch Dual Adapter to haul twice the load in the same amount of time. My driveway is 1/3 of a mile long so it takes some effort getting the trash down to the road. The Hitch’N Can is awesome! No more wrestling and trying to balance the garbage can in the loader. Just back up and lift it up with the 3 point hitch. Thanks Heavy Hitch! Excellent – we use it on our little tractor’s Heavy Hitch. So easy, especially if our 500 foot driveway has fresh snow covering it. 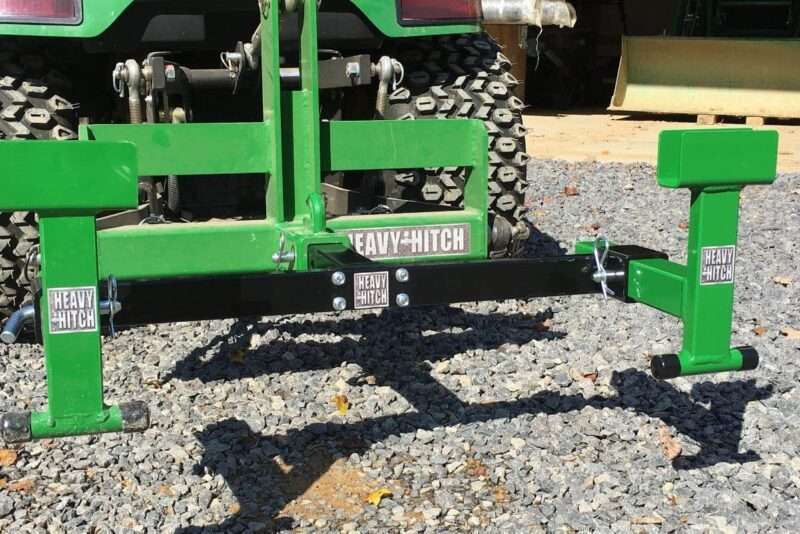 If the Heavy Hitch is not on the tractor, I can move the Hitch’n Can to the 2″ receiver on my loader bucket. We’ve even just put it on our pick-up truck’s hitch receiver – just high enough for the big garbage bin to clear the driveway.